I woke before the sun and struggled to reclaim sleep but without success. Finally dawn crept through a crack in the crooked shade and I abandoned the effort. Next to the ocean, I feel most at home in the mountains and we have come to Colorado. Though the Rockies sit lower here, nonetheless they rise in the western skyline with a serene eternal splendor that beckons. See? We remain; just where you last saw us; waiting. Come into our embrace. 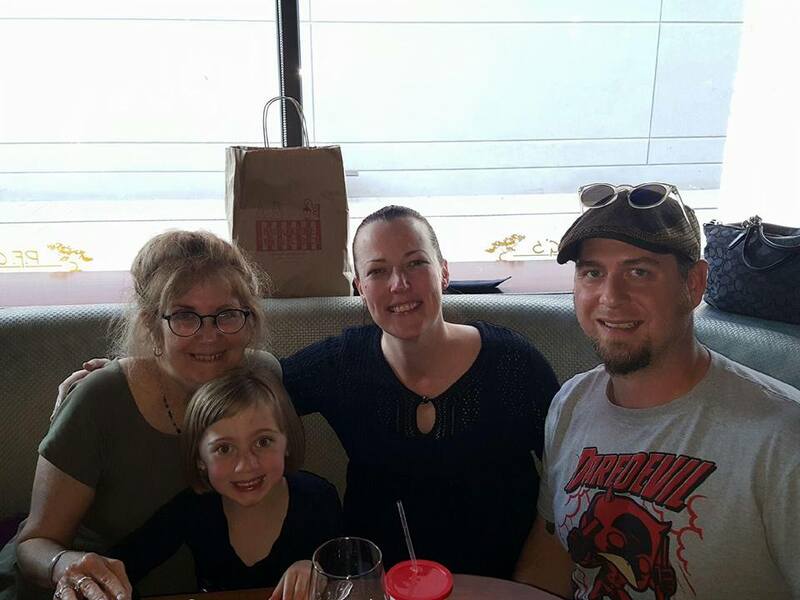 Last evening, Jenny Rosen and I dabbled on Pearl Street and dined with my stepdaughter Tshandra, her husband Sean, and their daughter Grace. Oh, technically, she has not been my "stepdaughter" since her father and I divorced in 1989, but we reclaimed each other half a decade ago and now she holds a place in my heart tightly woven by gossamer thread as though the years never intervened. That bond depends not on law, or blood, or time, or distance, but on our regard for one another. Our connection seems tied to mountains. Tshandra spent a summer with her father and me in Little Rock, then joined us in the lower Ozarks in Newton County, Arkansas. She slept in our wide screen porch, with the sound of the Buffalo River below and the night birds above. She sat with her father in his basement shop as he built sets and puttered. Above them in my attached office, I wrote wills, and edited contracts, and made phone calls for the dozen clients that ventured past the more well-known local lawyers and found the separate entrance to our home bearing my name and the words, Attorney and Solicitor in Chancery. One summer in between; a stop in our lives which knocked the world on a crooked trajectory to temporary disaster for each of us. But it is the summer in Little Rock which I remember most, the summer of 1987. Chester and I had married in March, in a sweet hippie ceremony performed by Bill Lord, the local justice of the peace and one of Chester's friends in Jasper, Arkansas, where Chester owned land. After the wedding, I went back to Kansas City, awaiting the July sitting for the Arkansas Bar in Little Rock where Chester had taken a job. A few weeks later still, Tshandra's mother Joanne sent her to live with Chester. By the time I arrived, Tshandra had become the thirteen-year-old lady of the house and I struggled to assert myself as stepmother. Sarah White, Chester's niece and the daughter of my long-time friend Alan, completed our household that summer. The girls sat on our stoop and giggled, two blonde heads together, cousins who had spend no time with one another until my marriage intervened in their lives and brought them in alignment. Their presence made me an instant parent, a role which I struggled to understand. I had too much to learn: How to be a wife; a stepmother; and a player in the odd game of Southern culture; all while studying for the Arkansas Bar and its strange rules about equity courts. I came home one day and decided to make chicken noodle soup. I beckoned to the girls, we're going to make noodles for our dinner, and showed them the flour, eggs, salt, all set out on the counter. We made and rolled the dough, cutting it into wide strips to drop in the boiling broth. Their triumphant looks as we served the soup with its shredded white meat, carrots, celery and onions justified the mess. This spelled success to me: Making meals with "my" children, in a wide open kitchen while my husband worked with his hands at a shop just blocks from our home. One afternoon, I took the girls to Hobby Lobby and bought them each a project. Tshandra chose a Precious Moments embroidery kit. I taught her a few rudimentary stitches and the piece came out from time to time that year, but never got finished. It did not matter; it was something I had given her. She could decide what to make of it. The idyllic days did not last. Chester lost his job when a new general manager took over the theatre company. My promised job with the Attorney General's office evaporated when the A.G. himself got indicted and the interim office head rescinded all offers. We moved to the mountains, and struggled to establish ourselves. Tshandra came back the next year, for a strange few weeks in the mountains, for some of which Sarah joined us. Then Tshandra went back to her home in Colorado, in August of 1988, and for a spell, lost her way in the world. Her mother called us for help, and Tshandra returned to us that fall. We met her at the airport in Springfield. She ventured through the gate wearing an uneasy look beneath hair that had been dyed black and shaved on one side. I reached out to embrace her, feeling the frailness of her body. When I finally let her go, she rummaged in her backpack. With trembling hands, she pulled the Precious Moments needlework from the depths of the bag. I finished it, she whispered. Life happened, then. After a few weeks with us, Tshandra returned to Boulder and her mother's care. Chester and I struggled to make our marriage work with little income, no family around us, and little to bind us except the love we had but could not show. I left. We divorced. And another twenty-five years went by before I saw Tshandra again. At some point, a decade ago, I took that embroidery piece from my kitchen wall and gave it to Chester. I miss it; I'd give much to have it back. I close my eyes and imagine the intent look on Tshandra's face as she pulled the needle through the cloth, forming each tentative stitch. I see her as she was all these years ago, in the haunted days of my young womanhood, from which the best remaining remnant is my connection with a beautiful little family in Colorado into the folds of which I am welcomed from time to time. A friend briefly sat on my porch last evening, while I gathered myself to leave. I remarked that I occupy a rocker on my porch as often as possible. Not in the winter, I assume, he replied, with a knowing smile. But yes: in the winter. I often sit outside on my porch wrapped in my great-grandmother's quilt, reading and sipping hot tea. My porch affinity solidified in childhood. Our house had a wide brick porch. My mother kept metal lawn chairs at one end. The other end made a perfect play area, with its low wall and cement floor, smooth and ready for chalk drawing. And now one summer afternoon calls to me, to my seven-year-old self who stands helpless on the porch, sick with a fever and forbidden to run around. My brothers chase each other in the wicked St. Louis heat, around the tree, down the driveway, out into the street while my sister Adrienne who is babysitting us brings lemonade and tells them to be careful. If I am seven, Mark is nine, Kevin is eleven, and Frank is four. Frank and Stevie, just three years old, would be napping inside. The big boys drag a hose around and spray each other. First one holds the nozzle, then the other, running madly, soaked, shorts and shirts sticking to their thin bodies. I would not run like that; could not; but I stare longingly at the coolness of the water. I imagine that I would enjoy their fun, though I am sure they would dash away, faster than my legs could take me. I would be left behind, but at least I would not be imprisoned on the porch. Adrienne comes out of the house and tells me, sit down, you are supposed to be resting, and I comply. My eyes do not leave the scene in the yard. Then Adrienne says, I have an idea. She gathers leaves and sticks while I watch, wondering what she plans. I rise again, ignoring my fever, brushing my hand impatiently to rub the warm flush from my face. I follow Adrienne to the far side of the porch and stand beside her as she bends down and stuffs the debris into the small square drainage holes spaced along the bottom of the porch wall. Then she calls to Mark, Hand me the hose, and she takes it from him, dangling it over the end wall of the porch. My eyes surely grow large as I watch the porch with its downward slant fill with water, trapped behind the tiny dams which Adrienne has built. Adrienne chases me inside to put on a swimming suit. When I return to the porch, I see that I have my own little private pool, ten inches of water at the far end, just enough to wet my feet closer to the house's front door where the porch is higher. I slowly walk from one end to the other while Adrienne sits and watches. At the lowest point, with the deepest water, I turn and look at her with a silent question. She gestures. Then I lower my little bottom down, and before I realize it will happen, water flows over my legs drenching me with its coolness. A few minutes later, Mark and Kevin realize what Adrienne has done and they leap over the wall, into my little oasis. One of them grabs the hose. They raise me onto the wall with their strong arms, and I am smiling, laughing, and we turn the hose on each other and on the house, and on the tree next to the porch, wilder and wilder. We keep going until Adrienne realizes that every inch of everything has been soaked and tells us: Okay, you guys, that's enough. And it is. Enough. Here in Kansas City, the neighbor walks down our shared driveway and I raise my coffee mug to salute him. The sun has risen high enough to cast its broad beams on the deck attached to my front porch. The plants stretch to receive its warmth. I tighten my robe against the chilly air, take another sip, and think about my day. Plenty of chores await me. But nothing urgent; nothing immediate; and I settle into the rocking chair on my porch. Life can wait. 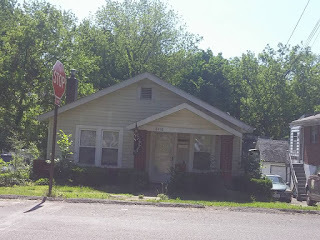 My childhood home in Jennings, Missouri. The trees are gone; a maple stood to the left, shading the north end of the porch. An oak stood at the south end (to the right in this picture), at the street. I took this photo on Mother's Day weekend, 2016. The rain has passed. I've warmed a mug of coffee, peered out the back door, and checked the perimeter of my dwelling. Seeing no intruders, I gazed for a moment at the sleeping dog and then came back upstairs, mug in hand, to stare out my window and watch the sun rise. Memories crowd me this morning, begging for my attention, boasting of a richness that they crow will not be found in the present. I stare at the computer screen, willing it to flicker with images of old familiar faces. I think about a long conversation that I had last night, one into which no artifice crept. Our words flowed easily, free of any subtext, tinged with pain, with regret, with compassion, with sweet disclosure. A gift, that conversation; and a useful one, which I will keep at hand and study often. My house fell silent once that conversation ended, with only my footfalls and the whisper of the dog's movement as she settled for the evening. Into the silence came echoes of the past -- shadows of fifty years ago dancing beside those of last week, mingling, waltzing, taunting me. Here is my mother, holding my son though he came into this world six years after she departed. Here the small clumsy feet of my childhood struggle to climb the Arkansas mountain where I camped in 1986 with the man whom I would marry the next year. Time folds over itself, twisting, weaving. I close my eyes and see boxes in this house. Someone stands in the front bedroom assembling the frame of a toddler bed. A little boy carries a stuffed bunny. One tiny fist rubs a sleepy eye. I raise him in my arms and we settle into a rocking chair, ignoring the moving mess, waiting for all the kind helpers to pack their tools and leave us to the evening. We'll unpack tomorrow. May 29th, 1993. The first night that my son and I spent in this house. Before his eyes flickered shut, he said, Is this our forever home? Now the only possessions of his which take any space here are three guitars with missing strings, a set of weights, and two boxes of God-knows-what brought home from his college fraternity house three years ago. 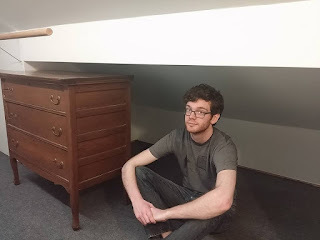 The favorite guitars, his keyboard, the small desk from his room, and everything else he valued fill a basement apartment in Evanston, Illinois. On Wednesday morning, my son casually announced over the phone that he had been awarded his MFA. I nearly wrecked the Prius. I had known that something happened on Tuesday, something he described as "defending my portfolio" but I did not realize it had such significance. After four years of college, a gap year and two years of graduate school, my little boy now holds a Master of Fine Arts in Screenwriting. I think about the child whom I first held in my arms shortly after 1:00 p.m. on 08 July 1991, born six weeks early but still weighing over seven pounds. Good god, the midwife exclaimed. Just think if you'd carried the lad to term. We all laughed, our voices bouncing from the sterile walls of the operating room. Though that lad struggled for the first few years from the effects of a shortened gestation, nonetheless he now stands nearly six feet tall, with the broad shoulders and narrow waist of his father's Native American heritage. Of me, he inherited only my troubled soul, which I got from my father, and which my father brought home from his march down the Burma trail. Perhaps he got his writing talent from me; and if so, that, too, I inherited from my father, and he from his. My grandfather John L. Corley, a lawyer who haunted the halls of Notre Dame, published poetry under the name Louis Millwood, a nom de plume combining his middle name and the name of the town where he lived. Patrick carries that tradition, along with a tendency towards isolation; both proclivities smack of the Corley heritage. I hear the alarm ring and I am not sure why I wanted to rise at 7:30 but I've been up since six, thinking about being a girl, a wife, a step-parent, parent, a lawyer, a friend, a solitary woman. Everything that I have done, everyone whom I have known, and all of my choices paved the path that brought me to this moment. As I said goodbye to my visitor of last evening, standing on my lovely porch in the chilly night air, I felt the keenness of my sixty years full upon my shoulders. Some future hovered just beyond my sight, dancing in the darkness, twirling to the vibrant lilting tune of a pipe I cannot quite hear. I put out the lights and retired for the evening, feeling another page about to turn, giddy with anticipation. CONGRATULATIONS, BUDDY! JOB WELL DONE! As I write today, my window overlooks a windswept parking lot between two hotels in St. Ann, Missouri. A nudge to the north sits Lambert-St. Louis Airport. A few miles to the east of that, my childhood home squats amid a rusty rubble of cars waiting to be repaired, presumably by the current owner. Another notch towards the river takes me to the cemetery where my mother lies. I have not set foot in that green-space since 21 June 1997, when we buried my brother Stephen's cremains in their brass box adorned with a Grateful Dead skull and roses sticker. I intend to try to find their resting place today. 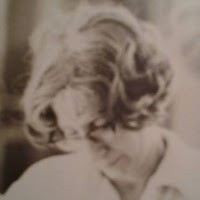 The stories of my mother that I most long to tell would frighten the casual reader. They give me the greatest sense of her character, though. Her resilience, her creativity, her compassion, her courage: these shine through the accounts of how she dealt with the terror of her husband's alcoholic rages. Those times made me what I am: If I am tough, my toughness comes from hers; if I am timid, the need to hide comes from curling myself into a ball to escape the screams. But many times my mother brought us together in laughter -- just as on many nights she sheltered us in her protective arms. My mother laughed with her entire body, from her face to her belly to her toes. My brothers pranced around the living room singing and making wild gestures while she giggled until she raced to the bathroom, only to find that a co-conspirator had slipped inside and locked the door. Outside we would howl with laughter while my mother rapped on the wood and the child inside would run the water, shouting, I'll be out in a minute as my mother jiggled with her legs crossed. Mom never let a good thing go. She found a pattern for a wrap-around skirt and made it in a plethora of colors and fabrics. She wore those skirts with T-shirts and sweaters, rotating tops and skirts to make a myriad of outfits. She sewed a simple handbag and that, too, she fabricated in assorted materials, scraps from the skirts -- corduroy, denim, and heavy cotton. Mother pre-dated Vera Bradley and could have given her a run for her money. I have some of my mother's features: Her hair, the shape of her eyebrows, her small bosom, her slender calves. My paleness flows from my father's heritage, as do my blue-grey eyes. But my personality is pure Lucille, though whether by nature or nurture, I could not say. I never surrender, even in the face of certain doom. I poke around the dirt and nip the dead buds on a begonia, something I watched her do a thousand times. I'm happy with dirt under my fingernails and a clean face without adornment. From my mother, I got my inventive parenting style -- part teacher, part soldier, part cheerleader, part confessor. In my sharpest memory, my mother stands at the kitchen counter with her hands in bread dough. She wears an apron over church clothes -- a flowered dress, stockings, a pair of black pumps. Her hair curls in the waves that wire rollers held with plastic stick pins produce overnight beneath a tied kerchief. She wears lipstick and powder. She raises her eyes as I pass through on the way to setting the breakfast room table. She smiles. In that smile, I see that she accepts me; she loves me; and she forgives me. I have no other needs. I have tried to be my mother's kind of woman. She held her own views. She believed that everyone should have a chance in life. She defended her children, stuck by her husband, and pushed her own desires to the background so that we could excel. She endured abuse, rose above adversity, and saw the flicker of color on a bird's wing in the thorniest overgrown bramble. My mother cherished the broken, the bent, and the battered. She threw nothing and no one away. I have tried to be like that -- to be the kind of person that accepted life's travails without lament, while seeing beauty in the quiet around me. By no means did my mother hold her tongue in every situation. She picketed the convent when one of the nuns punished my brother for having long hair. She stuck her tongue out at a lady in church who scolded me for asking my mother a question about the sermon. She dashed down a sidewalk to chase away boys who had followed me home from school imitating my wobbly walk. My mother never failed me. She held me when I bled away my first pregnancy on her bathroom tile, soothing me with her gentle voice, singing to me as she had done when my legs hurt so much I could not sleep, all those years before that terrible afternoon. By the same token, she did not cut me too much slack. When I had trouble with my first "real" job, she sat me at the table and ordered me to make a list of ways that I had failed, and a second list of how I could change the situation. I get my problem-solving strategies from her. Make a list of chores; tick each item off as you complete it. When the list is done, you can rest and enjoy the holiday. From my mother, too, I learned to love without reservation; to be loyal in the face of betrayal; and to keep expecting that the cloud will part and reveal the silver lining -- even if the earth has already split open beneath my feet and the heavens have unleashed a deluge on my head. My mother wanted to name me "Mary Kathleen". My father chose "Bridget Corinne". They compromised, at first, on "Bridget Kathleen" and planned to call me "Bridget Kay". As my father told the story, he and some friends wrote the various permutations of the four names on a cocktail napkin at the bar where he drank. They decided that "Mary Corinne" looked best with "Corley", and he went to the hospital and named me that. My father swore that my mother did not know for several weeks after my birth. It made a good story. He would tell it and my mother would sit knitting, raising her eyebrows, letting him have his moment. She did that for all of us: Let us take the limelight, pushed forward by the deft application of her guiding hand. My mother died from uterine cancer which metastisized due, in large part, from the incompetence of her doctors. Her OB-GYN diagnosed her symptoms as "female trouble", and gave her Premarin, a known aggravant of uterine cancer. It spread before my mother could consult another doctor, which she did only at the urging of the cardiologist who headed the EKG department in which she worked. The surgeon cut her urethra when he biopsied to check for cancer in her intestines during the hysterectomy, and her radiation had to be delayed. By the time the wound healed, the cancer had spread beyond hope. She died a few months later, just two weeks before her 59th birthday. I am older than my mother ever got to be. I feel the fullness of that statement. In some ways, I feel as though I am living the old-age that she did not get to enjoy. I do not look much like her, but I hear her voice in my words. I carry the best of her in my heart. I try to honor the best of her. I have no other gift to offer in her memory. I hold that out in my trembling hands, hoping it will be enough.